Many people want a practical kitchen that retains the warmth and atmosphere of a classic cooking space. Konstruct Interior Solutions create just that, combining vast experience and skill with careful consideration of your wishes. Traditional kitchens in Brisbane is a specialty of ours and we will work extremely hard to make yours as elegant, homely and functional as possible. We tailor our construction to your tastes and draw on our industry knowledge to overcome the challenges of your unique home. The wide range of services we offer is made possible by our industry knowledge and flexible attitude. The quality of work we ensure extends to the tradesmen we use, who are all diligent, BSA licensed experts in their fields. 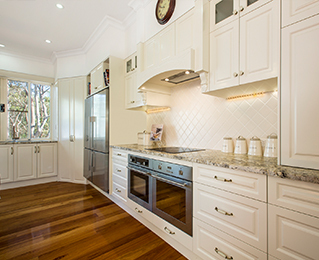 Look no further than Konstruct Interior Solutions for great traditional kitchens in Brisbane. ?Get in touch with us! Your kitchen is likely a place where you spend a significant amount of time, and it should be a space you truly enjoy. If you’ve been considering remodelling your kitchen, our team at Konstruct Interior Solutions is ready to help. We have built our reputation on crafting beautiful traditional kitchens for residents in Brisbane and surrounding areas. 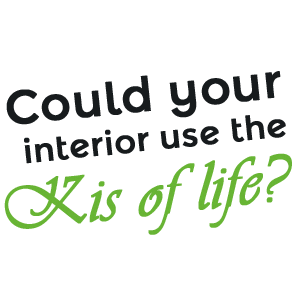 Konstruct Interior Solutions is a relatively new company, because it was established in 2011. However, its founding partners have more than 35 years of combined experience in the interior design industry. When you rely on us to help improve your kitchen, we’ll bring all that expertise to the table, offering smart insight that allows you to make informed decisions. We look forward to handling every aspect of your kitchen’s redesign, from the planning phases to the installation. Even if this is the first time you have ever changed something about your kitchen, you can feel excited and confident about the outcome, because you’ll have our help every step of the way. If you’re ready to learn more about how we can change your kitchen for the better, Contact us today or request a free quote online. We’ve helped many Brisbane families enjoy traditional kitchens, and want to assist you as well. If you’re thinking about renovating another part of your home, such as the bathroom, we can also offer advice about that too, whether you have a design question, or are trying to decide between a few different colours or materials for a new vanity. A home improvement could make it easier to take pride in your residence. Allow our experts to turn your plans into realities you’ll love.